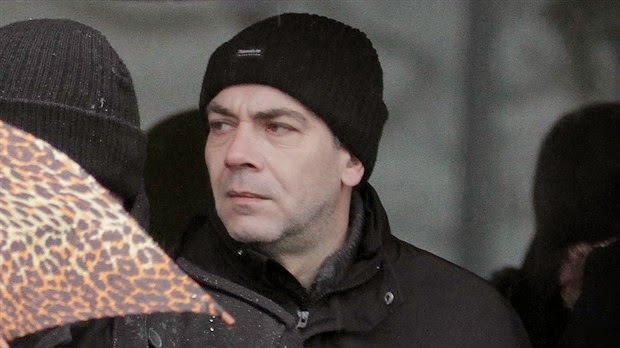 Belfast Magistrates' Court heard Stuart Downes is also alleged to have researched and acquired component parts, tested an explosive mixture, and made an anonymous phone call to establish a codeword. Downes, whose address was given as Ryton Close, England, was arrested in Shrewsbury by detectives investigating the attack in north Belfast. Two PSNI officers were targeted as they got out of their vehicle in the Ballysillan area of the city on May 28. Pipe bombs were thrown at the pair, leaving them shaken but unhurt. Earlier this week north Belfast woman Christine Connor, 27, was formally accused of their attempted murder. Downes appeared before the court to face charges of conspiracy to murder police officers, conspiring with Connor to cause an explosion, and preparation of terrorist acts. It was alleged that this last charge involved researching, acquiring and testing, along with the anonymous phone call. A detective constable said he could connect the accused to all of the alleged offences. Questioned by a defence lawyer, the detective confirmed Downes was interviewed more than 30 times and denied the offences throughout. When charged by police he replied "not guilty" to all three offences, the court heard. The detective also agreed that no DNA or finger print evidence was put to the accused at any stage in the interview process. Downes was remanded in custody to appear again by video-link on July 3.